My first meeting with Akira Kurosawa very nearly did not happen. In August of 1971 Kevin Brownlow returned from the Moscow Film Festival with a tantalising prospect: Kurosawa was going to pay a rare visit to London on his way back to Tokyo. I had recently joined the British Film institute as Head of Production so I thought I would try to arrange a reception. Unfortunately, Stanley Reed, director of the BFI, was in hospital recovering from a heart attack and the deputy director would have none of it: he did not rate Kurosawa. So I rang Stanley in hospital. A little while later, the deputy director tersely told me that he would after all agree to a reception — on condition that it did not cost too much. 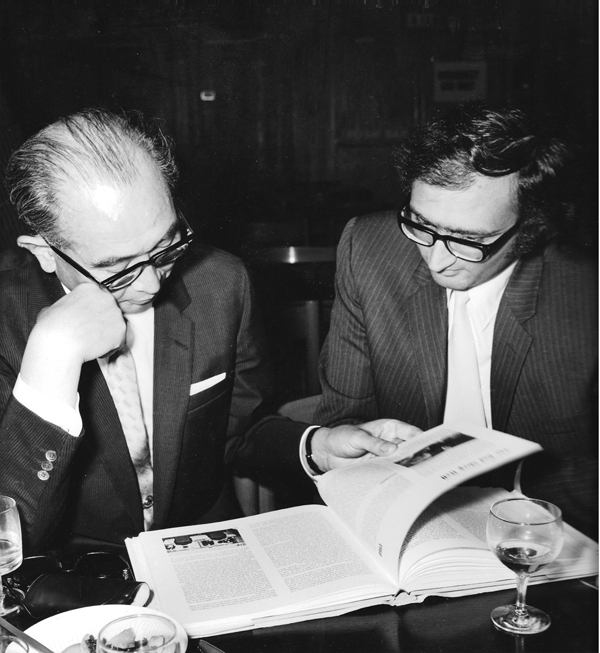 And so it was that Kurosawa had a meal with, among others, Lindsay Anderson, Stanley Donen, John Schlesinger and Kevin Brownlow — and scores of filmgoers — in the National Film Theatre canteen. It could not have been a better venue. Akira Kurosawa was a proud man, nicknamed Tenno or the emperor, but he disliked court culture, pomp, celebrity, show biz and most critics. Distaste for these peripheries would diminish with the lessening of his powers, but that was still in the future. On that evening I queued with amazed and delighted filmgoers to get him some food, but he ate hardly anything. However, he did drink. He put a hand on the whisky bottle whenever anyone tried to move it. He was not your stereotype inscrutable Japanese — he was six foot three, informal, urbane, and relaxed. As he was leaving, he playfully locked the much shorter Anderson in a judo hold. Early the following year, Kurosawa tried to commit suicide. Maybe the future promised only long, unbearable periods of dumbness and silence for him. Lindsay and I agreed that to congratulate him on surviving the attempt might be tactless. We cabled wishing him ‘the best that he would wish himself’. Of course we knew what that was. However, he was to make only six more films. One in the Soviet Union, two with American money and one with a French producer. Like many of his generation, Kurosawa was, for all the problems, at home in the studio system. Outside it, he was in a kind of exile. Hustling did not come naturally; and, although he was often criticised for being too western, aiming at a world, rather than a Japanese, audience blurred his focus.